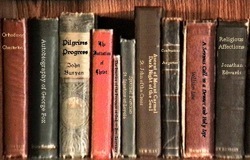 After posting my top reads of 2010, I now post 10 books I hope to read over the 2011 year. Some of these were ones I did not read in 2010, so I hope to pick them up this year. 1. Jesus and the Victory of God by N.T. Wright. This is volume 2 of Wright’s series Christian Origins and the Question of God. Of course, I would like to read the two other volumes – The New Testament and the People of God and The Resurrection of the Son of God. But I am not sure if they will make 2011, since they are each massive works. I’d like to get into them all, but I’m just not sure. I believe there will be a total of six volumes in this series when it is completed. 2. The Story of Christianity by Justo Gonzalez. I originally read this two-volume work about eight years ago when I took two semesters of church history. But I am interested in reading and studying more on church history, so I want to go back and start with this work. 3. Simply Christian by N.T. Wright. Yes, you can tell, I enjoy reading N.T. Wright. By looking at the Table of Contents of this book, it seems a little like Wright’s own version of a Mere Christianity. 4. Eat This Book by Eugene Peterson. I have read the first book in Peterson’s five ‘conversation’ books, Christ Plays in Ten Thousand Places. I would like to read all five of these books, as I want to stay connected to more devotional books, as well as pastorally-focused books. Peterson is good at both. 5. The Passion of the Western Mind: Understanding the Ideas That Have Shaped Our World View by Richard Tarnas. I originally read this in university in a philosophy class, but I want to go back and re-read it to refresh my memory in regards to the development of western thought, at least from a non-Christian’s perspective. I don’t think I paid too much attention to the book when I had to read it some ten years ago. 6. I Love Jesus and I Accept Evolution by Denis Lamoureux. I recently purchased this book. Due to my reading of Peter Enns’ book, Inspiration & Incarnation, and interaction on the BioLogos website, I am more interested in studying the view of evolutionary-creation (which maintains the divine, intelligent design of creation, but that God chose the method of what we identify as evolution to bring about His creation). 7. Theology After Darwin edited by R.J. Berry and Michael Northcott. I just purchased it and #6 above explains why. 8. Re: Mission: Biblical Mission for a PostBiblical Church by Andrew Perriman. I appreciate Perriman’s thoughts and writings, so I would like to dive into this book on how the church should engage in mission in the 21st century. 9.God’s Word in Human Words by Kenton Sparks. I have read Peter Enns’ book, Inspiration & Incarnation, and am halfway through Peter Rollins’, How (Not) to Speak of God. All of these books generally focus on how evangelicals can understand Scripture in light of critical scholarship. So I would like to dip into Sparks’ works. 10. The Fourth Book of The Inheritance Cycle by Christopher Paolini. I read the third book, Brisingr, in 2009. I am now awaiting the fourth and final book to hopefully be released in 2011. I truly enjoy fantasy fiction! 11. Possibly a re-reading of The Lord of the Rings trilogy, starting with The Hobbit. As I said, I love fantasy fiction, and this series might be the best of all time. 12. I did not specifically mention any books on the continuing work of the Holy Spirit. In 2010, I did read Jack Deere’s book, Surprised by the Power of the Spirit (here is my review). So I might pick up the second book, Surprised by the Voice of God.